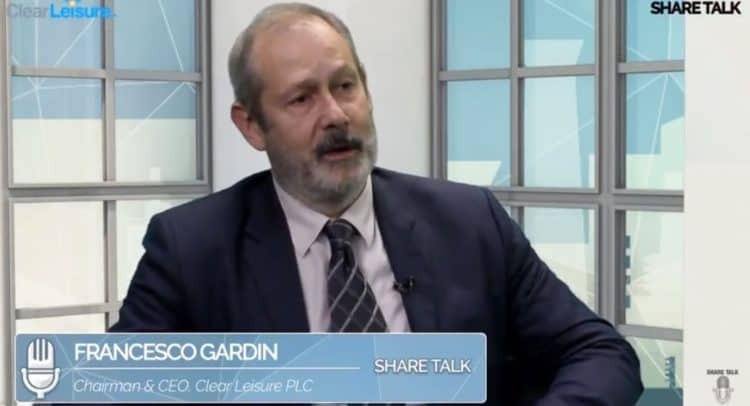 We caught up with Francesco Gardin, CEO & Executive Chairman of Clear Leisure Plc (AIM:CLP) on Share Talk TV to get the lowdown on CLP’s recent business update. Francesco also answers a range of shareholder questions in this extended interview. You can read Clear Leisure’s latest business update on Share Talk here.